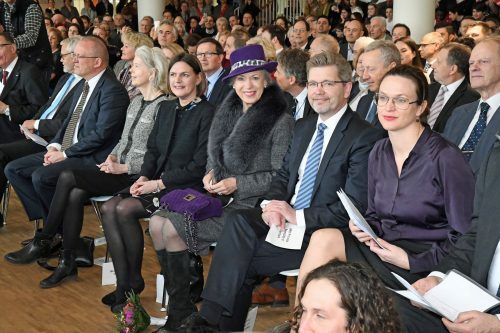 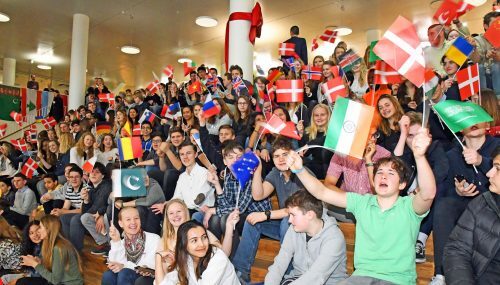 Princess Benedikte, the queen’s sister, was the guest of honour (left) at the official opening of the new 25,000 sqm Copenhagen International School campus at Levantkaj 4-14 in Nordhavn on March 7, where she was welcomed by CIS headteacher Jennifer Weyburn. 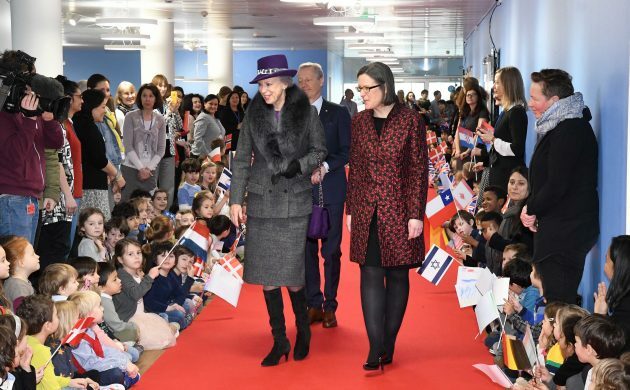 The school’s 930 children have been using the spacious colour-coded building since January 9. The campus incorporates innovative architecture and cutting edge pedagogy to provide an inclusive community where it can educate the citizens of the future with an emphasis on sustainable living. Among the other dignitaries present were (left-right) Maersk owner Ane Mærsk Mc-Kinney Uggla, CIS chair Brit van Ooijen, Princess Benedikte, Copenhagen mayor Frank Jensen and Merete Riisager, the minister for education. 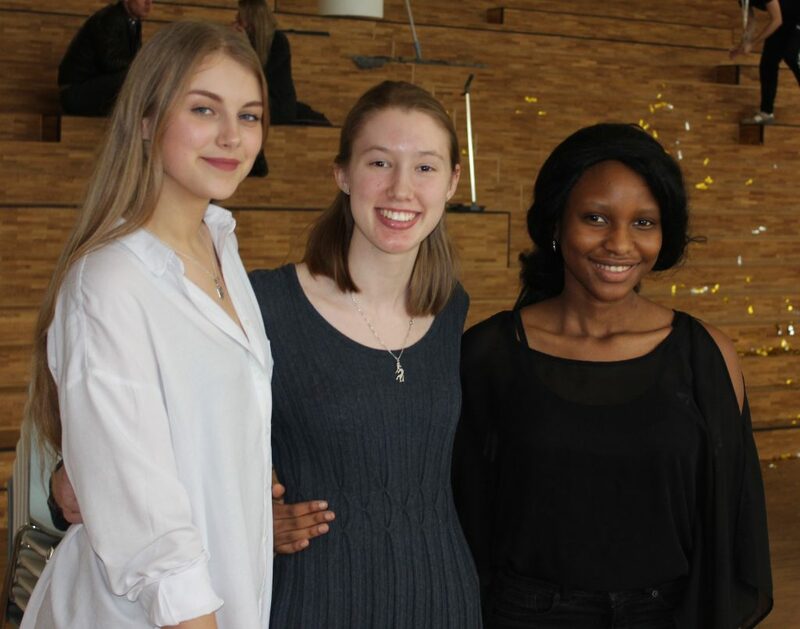 Adela Martens (centre) and her two friends were among the many CIS students in attendance. The official opening’s background music was produced by CIS students. 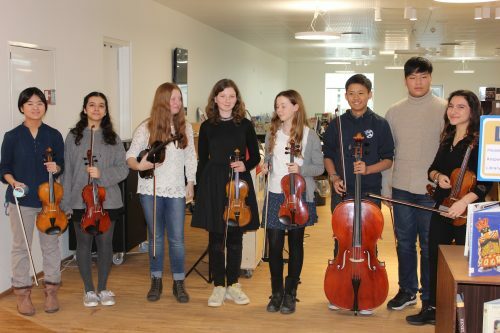 First the visitors had the honour of listening to the string players, who were followed by various other musical talents (more than in the photos!). 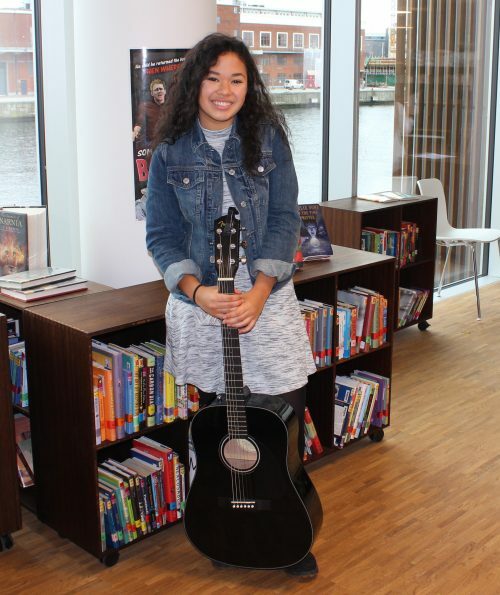 After the ceremony, when the students went back to class and the visitors to the bar, Petrina Danardatu was still singing and playing the guitar. 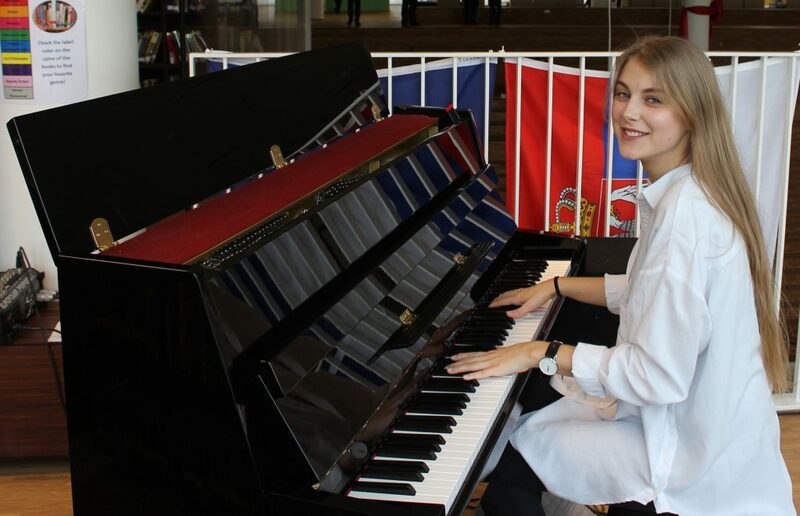 Kvitka Perehinets, who is in the tenth grade, followed by playing the piano.